Buick and GMC sales have been steadily rising as of late, with Buick sales increasing by 12 percent year-over-year as of July and GMC sales climbing 8 percent. Part of Buick’s success could be tacked up to its recent “Experience the New Buick” TV ad campaign, which kicked off with the now well-known “Hmmm,” ad. 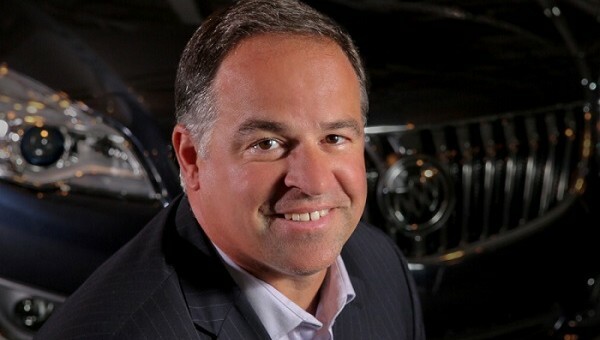 Toni DiSalle, US Vice President of marketing for Buick and GMC, recently sat down with Brandchannel to discuss the new campaign and the present state and future of Buick and GMC marketing. The original “Experience the New Buick” commercial, which featured an elderly woman confidently claiming her grandson’s new Regal GS is “not a Buick,” was popular both online and on the TV screen. DiSalle says the success was in part due to the ad’s ability to play off of consumers’ misconceptions about the brand. Disalle said Buick is now going to release five product-specific spots using the same footage from the “Hmmm,” ad, as they were all shot together as a package. There will be an “Experience the new Encore,” ad, an “Experience the new Regal ad,” and so on. He added that this advertising approach will work because many consumers still have a skewed idea of the Buick brand. Disalle said his marketing department is “leveraging the product to change consumer perception of the brand,” by directly addressing the undesirable ‘old person’s car’ stereotype in its advertisements. He said Buick is not a brand that is afraid to laugh at itself, and the marketing helps it attain an “approachable and inviting and warm,” image, which is unlike other premium brands. We’ve stuck one of Buick’s new “Experience the New Buick” TV spots below, with the rest appearing on the brand’s YouTube page. You can also read DiSalle’s full interview with Brandchannel right here. Good Commercial! !……Someone is thinking, being creative and tastefully humorous out there. It’s refreshing. The as cheapest the brand. Buick has already seen massive growth without these silly, cheap spots. Reminds me of ‘Where’s the Beef’, from Wendy’s. They should have borrowed Claudia from the Opel ads.